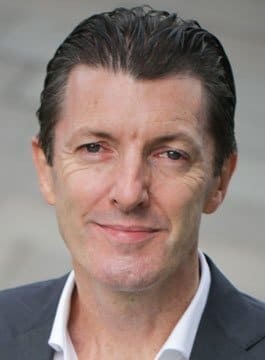 John Stapleton is the “Authentic Entrepreneur” with over 30 years’ experience in pioneering new FMCG categories and establishing and growing successful consumer-led businesses in both the UK and the USA. John now actively manages an investor/Non-Executive Director portfolio contributing value-added business growth advice, guidance and mentoring to business owners. John has first-hand experience in start-up, early stage growth and scale-up stage businesses, having co-founded 3 FMCG businesses, building and growing each to exit. John helps design creative, practical, experience-based solutions to problems, challenges and opportunities that brand owners encounter in starting, growing and scaling their companies, across all areas of business. In 1987 John Stapleton co-founded the New Covent Garden Soup Co Ltd., which pioneered and grew the fresh soup category in the UK. On reaching over £20m revenue, Daniels PLC bought New Covent Garden Soup Co in 1998. In that same year, John co-founded Glencoe Foods Inc., to bring the fresh soup concept to the US. On returning to Europe, John established a consumer branded food consultancy and worked with a number of corporate and early-stage growth businesses across the FMCG sector in the UK, US and continental Europe. In 2005, John co-founded Little Dish, which supplies healthy, natural and convenient meals and snacks to children over one year. Little Dish created the chilled toddler food category, developing full UK retailer distribution and became the go-to brand in fresh toddler food. Having grown to approaching £15m annual revenues, John exited Little Dish in 2017. Leveraging his extensive experience, John provides business growth advice and mentorship to growing businesses; is a business thought leader and speaks on a wide range of entrepreneurial management & motivational leadership topics. Have the Courage of your Convictions – You will get lots of detractors – don’t get swayed. The real benefit of Adversity is dealing with it – Forget the post mortems and feeling sorry for yourself – learn, re-adjust and move on. Adversity is everywhere – As an entrepreneur you never chose the path of least resistance; therefore don’t be surprised when it’s not a smooth ride. Learning from Failure – the power of failure in planning and executing your next success. The Power of Authenticity – this comes from who you are – be true to it and leverage it.